Ave Maria (Trio/Ttbb) composed by Franz Biebl (1906-). For vocal trio (TTB), TTBB choir, bass voice solo & tenor voice solo (a cappella). Chanticleer Series. Main Key: C Major. Sacred, Concert. Difficulty: Advanced (Adult). Octavo. 8 pages. Duration 4 minutes 50 seconds. 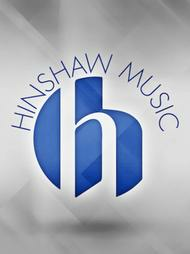 Published by Hinshaw Music Inc. (HI.HMC1253).